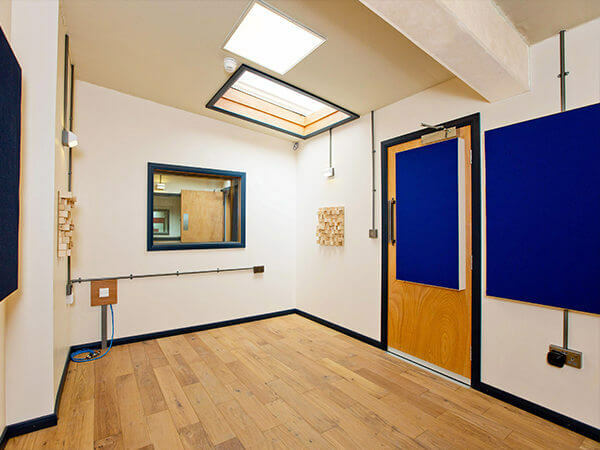 Puzzle Factory: Top Mixing, Mastering and Recording Studio in London! "Dax did mixing and mastering on my last 3 singles and really took them all to the next level. I recorded them all at home, but by using Dax and his unique and fairly astounding knowledge-base he was able to utilise my raw tracks and turn them into something amazing. He really picks up on the intricacies of a mix and advises along the way to ensure that the best result possible comes out for you. He truly cares about it, and that's hard to find these days." "In the time I spent working with Dax, I was incredibly impressed by his enthusiasm and energy for the job. His level of technical knowledge is very high as is his determination to improve. He's very easy to get along with and the mixing work he has done that I have heard sounds great. I enjoyed working with him and think his level of work is very high." "I'm confident there's a whole other society where they're missing one wizard." "It has been a great honour working on this album with you. Just the other day Alex and I were watching the youtube videos of our recording session and I know I speak for everyone in the band in saying that the week we spent making this album with you was one of the most fun times we have ever had in our lives. It was such a cool way to make something really special and through the blood, sweat and tears, we have something both sleepmakeswaves and yourself can be really really proud of." "We are so pleased with the results and believe we wouldn't have been able to achieve them without Dax"
"Having worked with Dax on several projects, I can honestly say he is one of those rare individuals with ears so finely tuned that a perfect mix is guaranteed every time. His knowledge of acoustics, recording, mixing, editing, mastering and music are unsurpassed by anyone I've ever worked with, and the results speak for themselves." "It's rare to find a producer who'll put in such a genuinely monumental effort to maintain the integrity of an album." "Dax was totally on it, but also flexible when we wanted something changed or just needed a break. He has a knack for being encouraging, but knowing when to back off if someone is having a moment." "Detail, efficiency, psychology and a very positive experience for all. The way you were able to bring out the character of a singer's phrases in such detail, thank you!" To contact the studio, please use this email form or call +44 (0) 747 0747 750. The studios are located only 5 miles from central London. We're 8 minutes' walk from Seven Sisters and Tottenham Hale stations, with shops, cafes, restaurants, relaxing Markfield Park and River Lea canal even closer. We hate spam as much as you. The information you provide to Puzzle Factory Ltd. will only ever be used to contact you. It will NEVER be given, sold or traded to a third party and, if you ask us to, we will delete it from our inbox immediately upon your request. Copyright © Puzzle Factory Ltd. ⬧ "Every job is a self-portrait, so autograph your work with quality."